How do animals eat their food? Each animal has a different way they enjoy their meals and satisfy their hunger pains. Some animals are nice and calm, while others are ferocious and can't seem to shovel the food in fast enough. 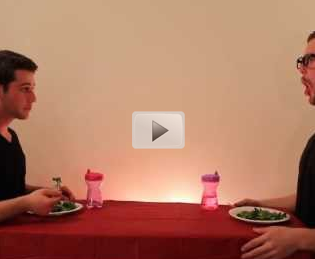 In this video, one man acts out several animals' eating habits. Watch this video and see if his impressions are correct.